 Plastic Film & Laminate Manufacturers - Custom Plastic Laminates | Reef Industries, Inc. Banner Guard® Custom Caution Tape is an effective method to limit entry to hazardous or restricted areas. Reef Industries, Inc. manufactures Transguard® a lightweight, high strength concrete curing cover designed to help maintain optimal moisture. Reef Industries, Inc. manufactures cover systems and tarps for a wide range of industrial, commercial and recreational applications. Reef materials are high strength and high performance. Reef Industries' Permalon® division manufactures the industries most advanced group of geosynthetic cross laminates and composites for industrial plastic liners. Terra Tape® is a high quality underground marking and warning tape that can prevent the dangers of digging into buried utility lines of all types. Our growth and success is entirely dependent upon you, the customer. Tomorrow will no doubt offer new and more demanding challenges and today Reef Industries is prepared to continue offering valuable products that will protect and prolong the service life of our customers’ investments. Highly visible caution tape limits access to construction areas, while communicating your important message. Protect newly poured concrete with rain protection covers. Griffolyn® products are internally reinforced laminates offering high strength performance. Fire line and EMS barricade tape is specifically manufactured for fire and EMS departments to mark dangerous zones and control access to hazardous areas. Highly visible Banner Guard® industrial barricade tape limits access to industrial areas, while communicating your important message for many industrial applications.